A Sunday walk in the waterfront of Thessaloniki always has something to surprise you. 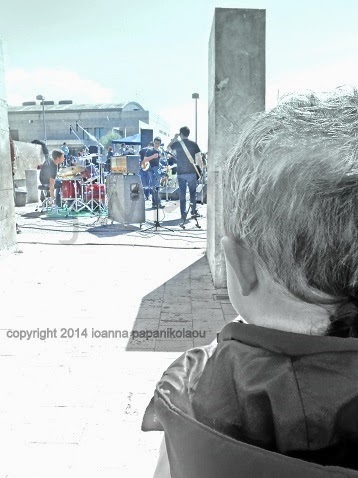 This time was a band of youth, playing live music few meters from the White Tower, and many teenagers taking part in a Play-act-motiON activity, engaging with YMCA and as part of the general action of Thessaloniki city as European Youth Capital for 2014. And, there were four generations amusing with the same sound, singing the same songs and feeling the same feelings. It was 1965 when The Who released "My generation" song, talking about their generation X, but since then this song of the 50 years-old super band seems to express the feelings of every generation... and the Y and the Z. Maybe the gab is smaller than we think, when we choose to talk in the same language.